First there was that feeling when we made it through to the quarterfinals with a 3-0 loss. A combination of elation and disappointment, I guess. Then there were the feelings going into the draw: eager anticipation followed by trepidation. Then came the feeling when Thiago Silva signaled for a substitution on Saturday – kind of a nauseated horror. But still, this is the Champions League, and we are the only team left representing Italy. No pressure. So it is with very mixed emotions that we head into Wednesday’s match at the San Siro with The Best Team in the World, Barcelona. I don’t have to tell anyone the prestige and honor that goes along with progressing in the Champions League. It is something every European club wants, and we are part of the Elite Eight. But if being satisfied with that was enough, there would be no trophy, and it is the pursuit of said silverware that have kept Milan going. I also don’t have to tell you the uphill battle we have to climb to defeat Barcelona in not one, but two legs. Nor do I have to tell you how depleted our squad is physically and how weary they must be emotionally. Yet Milan are the team that Pep Guardiola feared most. And even that deluded old hag, the British Press, acknowledge Milan as one of the only teams, if any, that can actually do the unthinkable and beat Barcelona. We should take heart in this, and hope that our boys realize this, too. Besides, Barcelona are riding a wave of emotion right now, too. It is expected that Eric Abidal will be having his liver transplant surgery this week, after having a tumor removed from his liver just last year. Certainly, we wish him the very best and hope for a speedy recovery and return to the pitch. 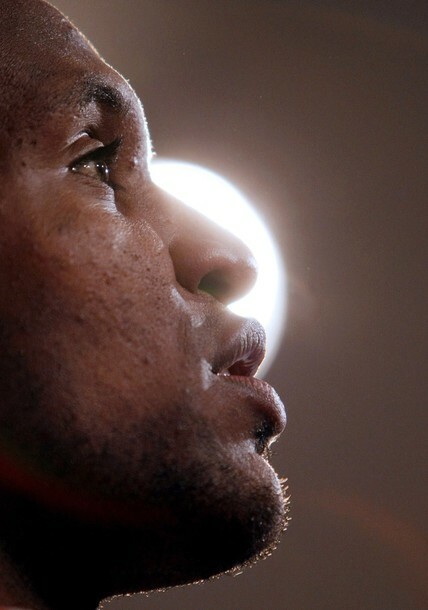 Our hearts are with you, Abidal. So many emotions, but come Wednesday, it will be all about the game. We’ve seen this enemy before. In the Group Stages of the Champions League, we drew 2-2 to them at home in September, and barely lost to them 3-2 at the San Siro in November in a dazzling game. And it’s not like they are invincible. Their La Liga record is 21-6-2, which actually puts them 2nd to Real Madrid. On paper, we could do this thing. Saturday in the league, they beat Mallorca 2-0, and Pep Guardiola put out a lineup of Valdés; Piqué, Puyol, Mascherano; Busquets, Thiago, Iniesta, Pedro; Sanchez, Fabregas, and Messi. It seems like the likes of Xavi and Keita and more were rested, so expect the worst. Reportedly, he’s got all 15 first team players healthy and traveling to Milan, so confidence should be brimming. Guardiola also has a bit of an edge over Allegri in that he’s got more top tier experience, but more importantly has actually won the Champions League – twice. But it is a lot of pressure to be the reigning champions, and we should absolutely capitalize on that. 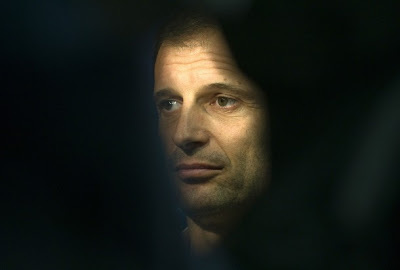 I still believe in you, Allegri. Allegri is feeling the heat. After being publicly criticized by Berlusconi last week for training techniques and injuries, he risked Thiago Silva on Saturday and lost the gamble, to the tune of 3-4 weeks without his star defender. But, perhaps more out of necessity than choice, he is the master at stretching a thin squad and still producing results. If anyone can pull this off, it is him. 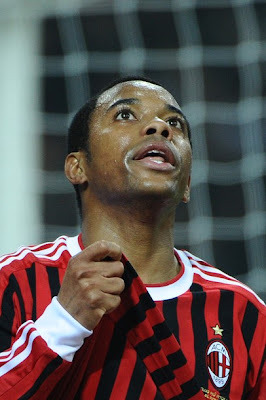 Galliani is putting his full faith in him, and so should we. Good news, both Maxi Lopez and Robinho returned to full training today. Allegri trained with a lineup of Abbiati; Bonera, Mexes, Nesta, Antonini; Nocerino, Ambrosini, Seedorf; Boateng; Ibrahimovic, and Robinho. While I am not entirely confident in that lineup with available players, it does give us a bit of a bench with the likes of Urby, Aquilani, Maxi Lopez, and El Shaarawy available, should Allegri choose to substitute. Van Bommel’s suspension this match is painful, but at least we would have him for the return leg next week. We may be stretched beyond belief, but Milan are champions. Seven time Champions League champions, to be exact. And we are very hungry champions, too. 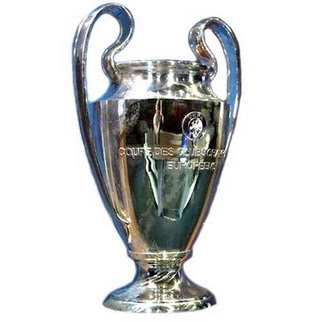 There have been a lot of comparisons to the events of this Champions League season and the events of 2007, when we last won the Champions League. Let’s hope they are not just coincidence. We’ll need a lead coming out of Wednesday’s match to hope for triumph at the Camp Nou. But if we play like we did at home in November, and with the luck of a decent ref, we might just pull this thing off. If everyone survives the San Siro’s Pitch of Death™, of course, but it is an equal opportunity injury maker, so the odds are about the same. This will be a very emotional match for so many reasons. It seems like the more injuries punish us, the more determined our boys are to win. And with Silva’s injury on Saturday, the boys should be absolutely ravenous. It will not be easy, but it is not impossible, either. So with mixed emotions, we welcome the reigning champions to the San Siro on Wednesday. Whatever your beliefs or superstitions or game rituals are, please indulge in any and every one of them you can. Our boys need all the belief we can give them. This match will be broadcast on FSC in the U.S.
Did you know? Andrea Bocelli wanted to be a professional footballer. His blindness is a result of an accident sustained while playing football.